Home » Honda HR-V » What are the Fuel Efficiency Specs for the 2019 Honda HR-V? With its standard 1.8L In-Line 4-Cylinder engine the 2019 Honda HR-V attains EPA fuel economy ratings of 28 MPG* in the city and 34 MPG* on the highway. All-Wheel Drive (AWD) is an available option for the 2019 Honda HR-V LX, Sport, EX, and EX-L trim levels and it comes standard on the Touring trim. When the 2019 Honda HR-V LX works with AWD it averages fuel efficiency estimates of 27 MPG* City/ 31 MPG* HWY while the Sport, EX, EX-L and Touring trim levels average 26 MPG* City/ 31 MPG* HWY. 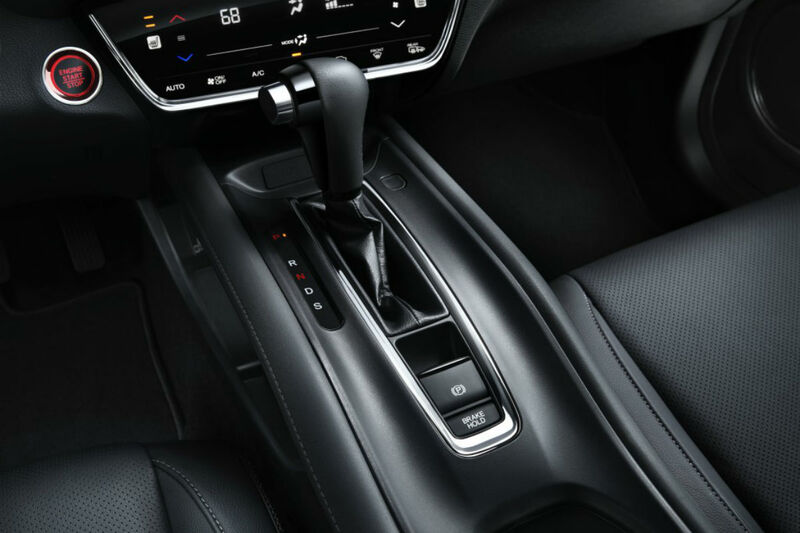 Learn more about the performance specs and a few of the interior features of the 2019 Honda HR-V right here below. How Much Horsepower & Torque Does the 2019 Honda HR-V Have? 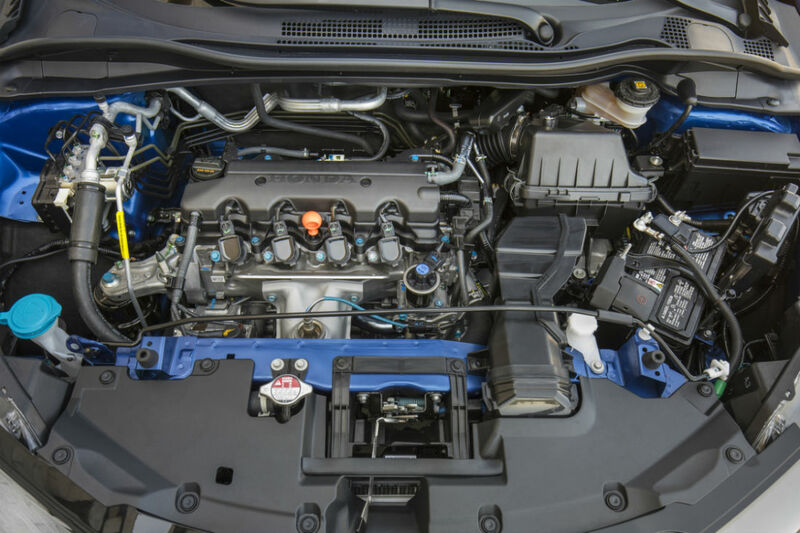 The standard 1.8L 16-Valve In-Line 4-Cylinder engine of the 2019 Honda HR-V works with a Continuously Variable Transmission with Sport Mode to provide the 2019 HR-V with 141 horsepower at 6,500 RPM and 127 lb-ft of torque at 4,300 RPM. Multi-Point Fuel Injection, an Eco Assist™ System, and Hill Start Assist also help to maximize performance and efficiency. On the four upper trim levels of the 2019 Honda HR-V you will find standard Active Noise Cancellation™ which helps to eliminate unwanted exterior street noise so you can appreciate the standard 160-Watt stereo system. 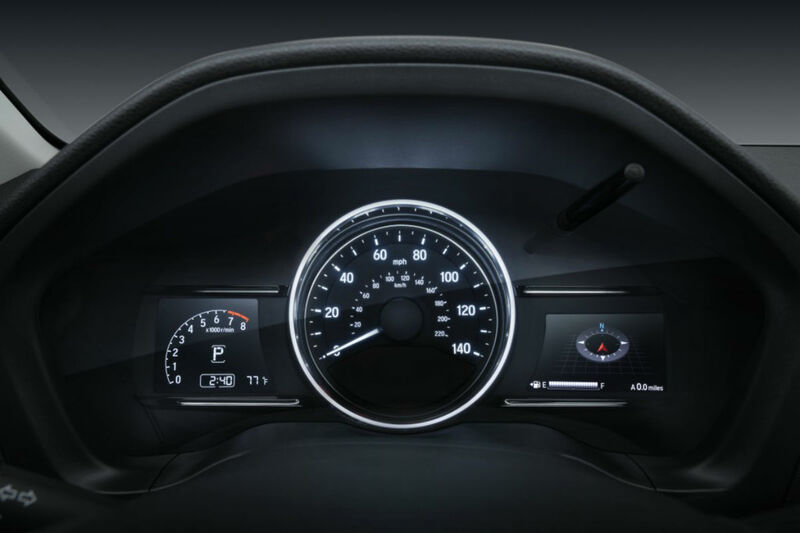 The 2019 Honda HR-V Sport, EX, EX-L, and Touring trim levels receive a standard 180-Watt 6-Speaker stereo with Apple CarPlay™ & Android Auto™ for an even more entertainment along the drive. What are the Paint Color Options for the 2019 Honda HR-V? The 2019 Honda HR-V isn’t only an efficient vehicle but it also has plenty of interior cargo and passenger space as well. With standard spacious seating for five and 100.1 cubic feet of passenger space the 2019 HR-V is roomy enough to keep all passengers comfortable during the daily commute or weekend getaways. Along with 23.2 cubic feet of standard cargo space and up to 57.6 cubic feet when the rear seat is folded flat the 2019 Honda HR-V ensures that everything and everyone fits inside with ease. Take the 2019 Honda HR-V for a test drive today and experience its efficient performance first-hand. Is there an Engine Upgrade for the 2019 Honda Civic Hatchback? How Many MPG Does the 2019 Honda Accord Hybrid Get? This entry was posted on Tuesday, October 16th, 2018 at 6:53 pm	and is filed under Honda HR-V, Performance & Efficiency. You can follow any responses to this entry through the RSS 2.0 feed. You can skip to the end and leave a response. Pinging is currently not allowed.